There are a number of questions I don’t normally cover in this column and I thought today might be a good time to address them. They’re generally questions people don’t think to ask—the ones you hope you never need to ask. But as with most difficult subjects, it’s better to consider the issues before you’re faced with a problem. What if I don’t agree with the final amount of my retirement benefit and I’ve already left federal service? What if I’ve been told that I owe the government for an overpayment of my benefit amount? What if I feel I’m being forced to retire because of my age or beliefs or some other discriminatory reason? Can I be sued as a federal employee and what can I do to provide protection against this? Sometimes mistakes happen. For example, there might be past service that was covered under CSRS but that service should have been classified as FERS or CSRS Offset. 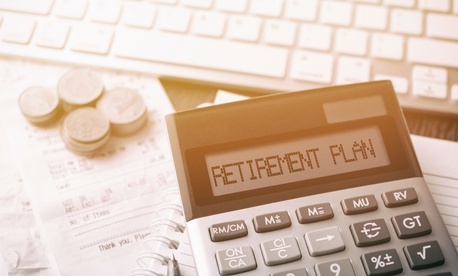 Retirement misclassifications have been so common in the past that Congress in 2000 enacted the Federal Erroneous Retirement Corrections Act (FERCCA). Misclassifications are sometimes not discovered until an employee begins to look into their retirement benefits by requesting a retirement estimate and, in some cases, the issue doesn’t surface until the retirement claim gets to OPM for final processing. In other cases, the problem isn’t the retirement classification, but a work schedule change that might have been missed in the retirement estimate. This could have been a situation where some of the service that was counted in the retirement estimate as full time was actually performed as intermittent or part-time. Or perhaps there was excess leave without pay that is not creditable because it extended for more than six months in a calendar year. There have been situations when an employee retires based on the retirement estimate from their agency, but the actual retirement benefit computed by the Office of Personnel Management is a substantially different amount. This is not a common occurrence, but it does happen. There could be many reasons for such a discrepancy, including an error on the part of the agency’s HR specialist or a missed detail regarding misclassified service earlier in the employee’s career. It’s important to remember: The agency estimate is just that—an estimate. The Office of Personnel Management is the final authority on your CSRS or FERS retirement eligibility and computation. But, mistakes can happen. If there is a large discrepancy between what you thought your retirement was going to be and what you are actually receiving, do you have any recourse? The answer is yes; you may file an appeal with OPM. According to OPM, generally any individual whose rights or interests under CSRS or FERS are affected by a decision by OPM may request OPM to review its initial decision. A decision is considered an initial decision when rendered by OPM in writing and stating the right of reconsideration. When circumstances warrant, OPM's initial decision will be issued as a Initial Decisions final decision. Such decisions provide a direct appeal right to the Merit Systems Protection Board. Merit Systems Protection Board: For an explanation of your rights as a Federal employee, and for an in-depth review of the Board's jurisdiction and adjudication process, please review An Introduction to the MSPB. According to the MSPB 2017 Annual Report, the MSPB handled 64 cases of CSRS retirement overpayment and 427 cases involving FERS retirement overpayment. In addition, there were 25 FERCCA cases decided. Additionally, there were a 432 decisions involving legal issues related to CSRS and FERS retirement claims. Perhaps you felt you were forced to retire. If you believe that you have been discriminated against by a federal agency, you have a right to file a complaint with that agency. The first step is to contact an Equal Employment Opportunity counselor at the agency within 45 days of the discriminatory action. You may choose to participate in either counseling, or in alternative dispute resolution if the agency offers ADR. Ordinarily, counseling must be completed within 30 days and ADR within 90 days. At the end of counseling, or if ADR is unsuccessful, the individual may then file a complaint with the agency. The last thing you probably hope you don’t need to know involves getting sued while performing your official duties. According Starr Wright, USA, a company that sells liability insurance to federal workers, federal employees at all levels can face allegations of misconduct and wrongdoing, even when acting within the scope of their federal employment. This could affect your retirement benefits. If you work in an area of government where you may be subject to litigation, buy liability insurance—your agency may even pay part of the premium. The good news is that most federal employees will never need to pursue legal counsel or file a complaint or an appeal regarding their retirement benefits. In the event you are not so lucky, it’s a good idea to be aware of what can go wrong. “Catch-62” and “Catch-62 Revisited” deal with some of the complexities of a career that spans military retirement and civilian federal civil service retirement. “Complicating Factors” explores the potential impact on a married couple when one spouse retires under CSRS while the other retires under the CSRS Offset. “A Rude Annuity Shock” describes the surprise fallout an untimely death could bring for the surviving spouse. “Sometimes Your Retirement Benefit Really is Too Small” reinforces how important it is to pursue solutions when you believe you are being shortchanged. “Divorce and Your Benefits” explains some of the issues many people fail to consider during divorce proceedings. The bottom line is, if you feel that something is not right with your retirement benefit computation, ask questions. You may have recourse to solve the problem. Don’t be afraid to speak up; your silence could cost you dearly.